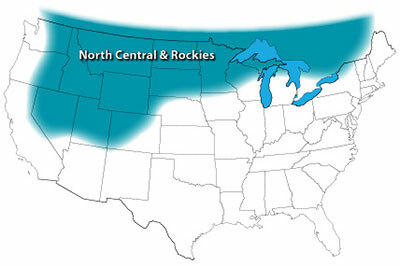 As promised, we now offer a complete, regions specific vegetable seed planting guide for the NORTH CENTRAL & ROCKIES region. This is one of many region-specific guides offered here at Mary's Heirloom Seeds. Find a complete list on our Growing Tips & Videos page. Indoor HERBS: Basil, Chives, Parsley, Rosemary, Sage, Tarragon and Thyme. Sow Indoors: Broccoli, Brussels Sprouts, Cabbage, Celery, Chard, Eggplant, Endive, Kale, Leek, Lettuce, Onion, Peppers, Radicchio, Scallion, Spinach and Tomato. Indoor Herbs: Basil, Chives, Cilantro, Parsley, Rosemary, Sage, Tarragon and Thyme. Artichoke,Arugula, Beans, Beets, Broccoli, Cabbage, Carrots, Corn, Cucumber, Eggplant, Endive, Gourds (louffa), Leeks, Lettuce, Kale, Kohlrabi, Melons, Mustard, Okra, Onions, Peas, Peppers, Radish, Radicchio, Rutabaga, Scallions, Sorrel, Spinach, Summer Squash, Swiss Chard, Tomatoes, Turnips and Watermelon. If you have warmer days and cold nights, consider planting greens in small containers to bring inside at night. 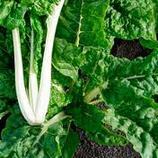 Or, plant an indoor windowsill garden to harvest fresh greens such as European Mesclun Mix and Arugula. RADISH is an excellent Fall crop. It is easy to grow and a quick harvest! I wrote down the chart and i noticed cauliflower mentioned in April “transplant cauliflower,” when do you sow indoors? And when do you sow winter squash? I don’t see it either? We moved to Evanston from the San Antonio, Texas area. At 7,000 feet, gardening is a challenge. Would love to compost, but haven’t figured out how to do this in winter. Have a short growing season. Would appreciate any advice you might have, as well as any books or online sources we can consult. Thanks!